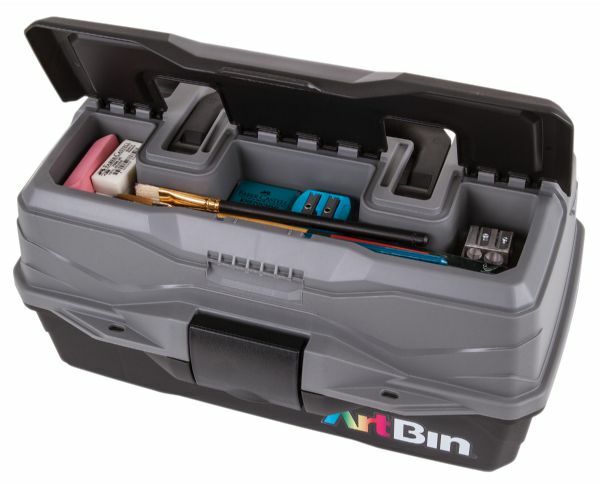 ArtBin Essentials Boxes feature foldout "Tip-Guard" trays for plenty of storage without spills. 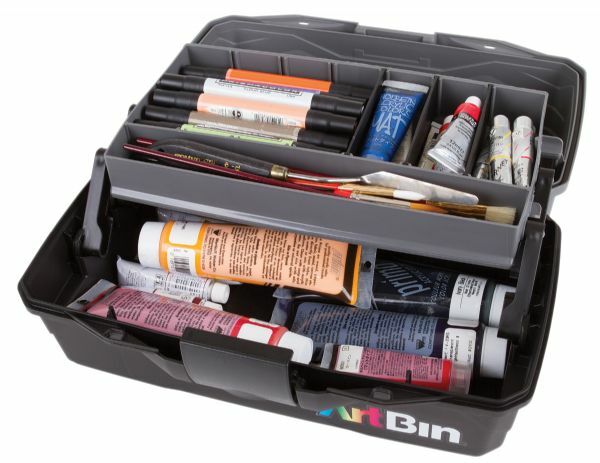 * Arrange the removable tray dividers in any configuration to store art hobby and craft materials of different shapes and sizes even pencils and longer brushes. 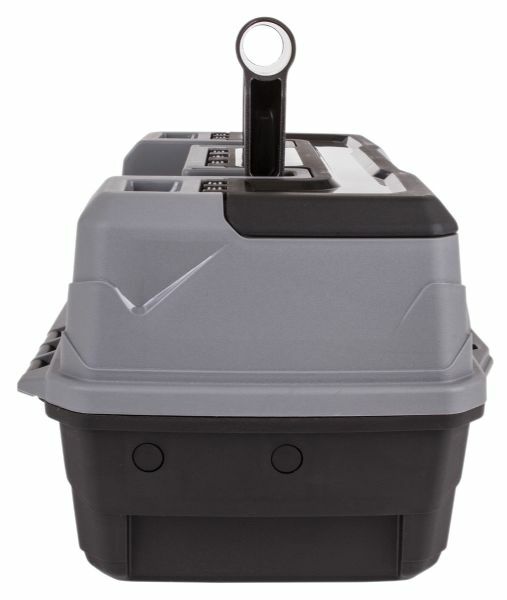 * Cantilever arms allow for storage in the bottom compartment. 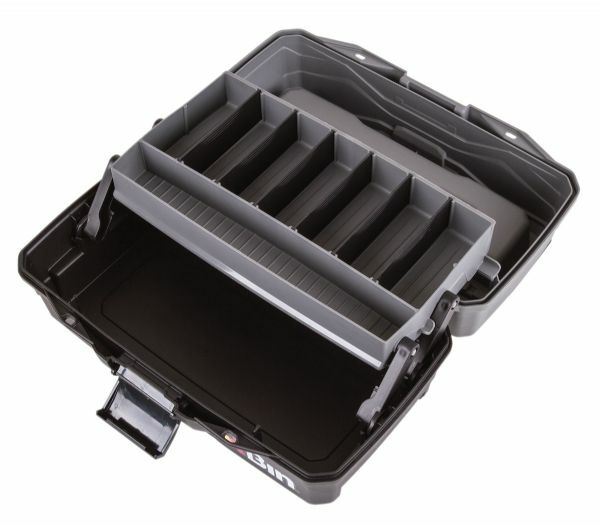 * Exterior lid storage gives you even more space and access to your most frequently used items. 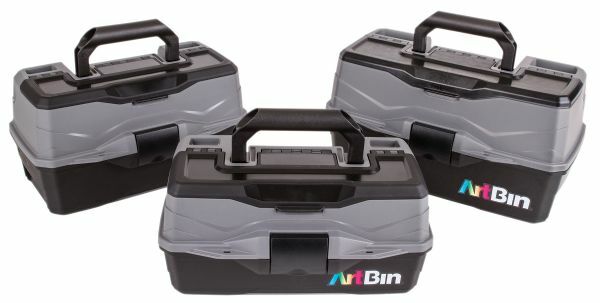 * Made of sturdy durable plastic these boxes feature ArtBin's tongue-and-groove construction. * Secure latches keep the contents secure. 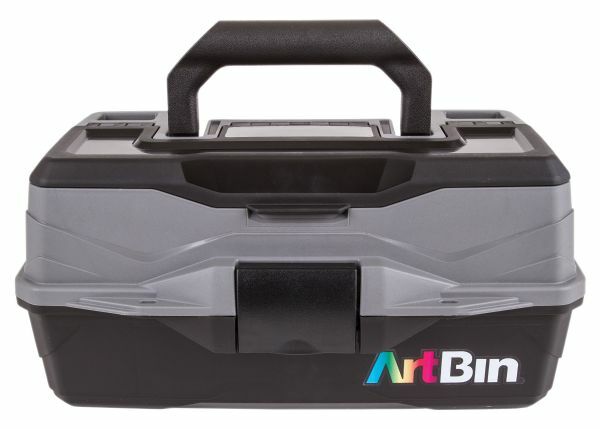 * Overall dimensions: 7.9"w x 13"l x 6.5"h.
13" x 7.88" x 6.5"